(Last Updated : 22.01.2019). UP Assistant Professor Answer Key 2019 : Uttar Pradesh (U.P.) Higher Education Services Commission, Allahabad conducted written exam on 12.01.2019, 05.01.2019 & 15.12.2018 for the post of Assistant Professor against Advt. No. 46 & 47. Official Answer key of UP Assistant Professor Exam 2018-19 can be downloaded here as and when the answer keys are available on the official website. The Commission had advertised Assistant Professor Posts against Advt. No. 47 under the subjects of Geography, Psychology, Sociology, Economics, Rural Industries, Military Science, Chemistry, Animal Science, Horticulture, Physical Education, Drawing, Commerce, B.Ed., Hindi, Physics, Home Science, Agronomy, Plant Pathology, Anthropology, Agri. Economics, Geology, Social Work, History, Pedagogy, Political Science, Philosophy, Law, Mathematics, Sanskrit, Urdu, Music (Tabla), Music (Singing), Agriculture Statistics, Agriculture Extension, Insect Science, Soil and Land Conversation & Livestock, Dairy Production, English, Botany, Ancient Indian History, Agriculture Engineering, Agriculture Botany, Agriculture Chemistry, Statistics (Instrumental), Music (Instrumental). 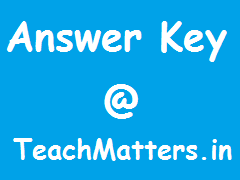 UP Assistant Professor Answer Key can be seen/accessed at the UPHESC's website i.e. www.uphesc.org also. See Answer Keys below. Check and download here official and final answer key of Assistant Professor Exam 2018-19 held in December 2018 and January 2019 for Advt. No. 47 & 46. Official answer key can be downloaded as and when the keys are uploaded on the official website. Here is the detail. The commission conducted written examination on 12.01.2019 for 06 subjects (Geography, Education, Sociology, Home Science, Commerce & Mathematics) against Advt. 47. Official answer keys can be downloaded as per the schedule. The commission conducted written examination on 05.01.2019 for 06 subjects (Hindi, Economics, Urdu, Chemical Science, History & Physical Education) against Advt. 47. Official answer keys can be downloaded as per the schedule. The commission conducted written examination on 15.12.2018 for 24 subjects against Advt. 46 & 47. Official answer keys can be downloaded as per the schedule. Objections, if any, in respect of the Answer Keys of the exam held on 15.12.2018 & 05.01.2019, can be submitted through personally/email (secretary@uphesc.org) along with Documentary Proof as per the schedule (up to 28.01.2019 & 30.01.2019). No objections regarding these answer keys would be entertained after that date. Check UPHESC Revised and Final Answer Keys of Assistant Professor Advt. 46 exam held in 2014-15. The commission conducted written exam on 22 March 2015 for 11 subjects of Geography, Psychology, Sociology, Economics, Rural Industries, Military Science, Chemistry, Animal Science, Horticulture, Physical Education & Drawing. Answer keys of other subjects of Assistant Professor exams held on 22.03.2015, 14.02.15, 11.01.15 & 07.12.14 was released by UPHESC earlier. UPHESC Assistant Professor Answer Key Advt. No. 46 - B.Ed.